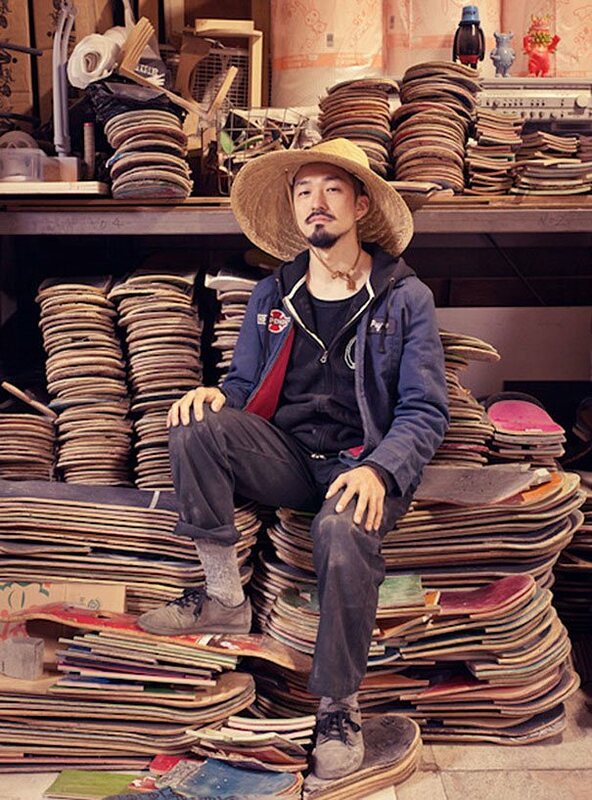 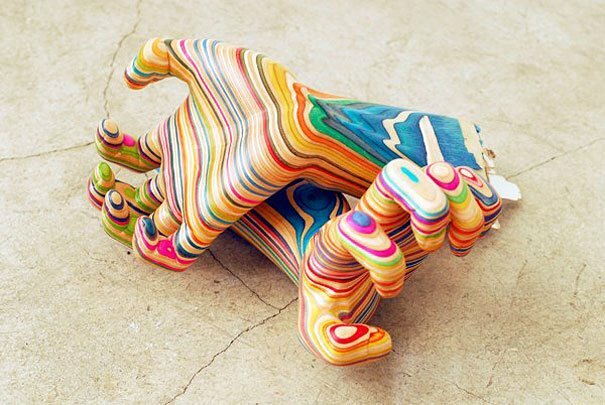 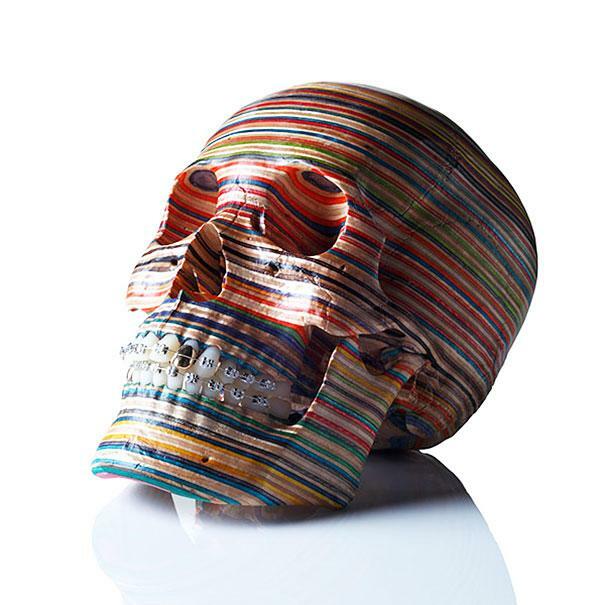 Japanese skateboarder and self-taught sculptor Haroshi has creatively combined his two passions by creating striking and stylish pop-culture images out of the wood of trashed skateboards. 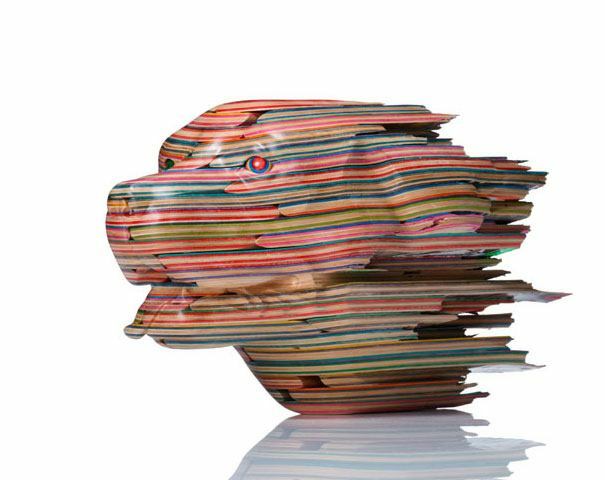 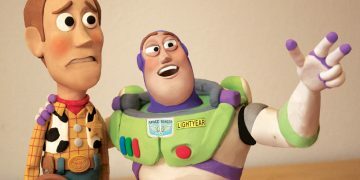 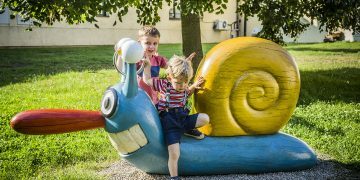 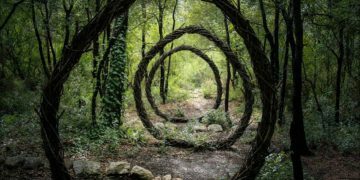 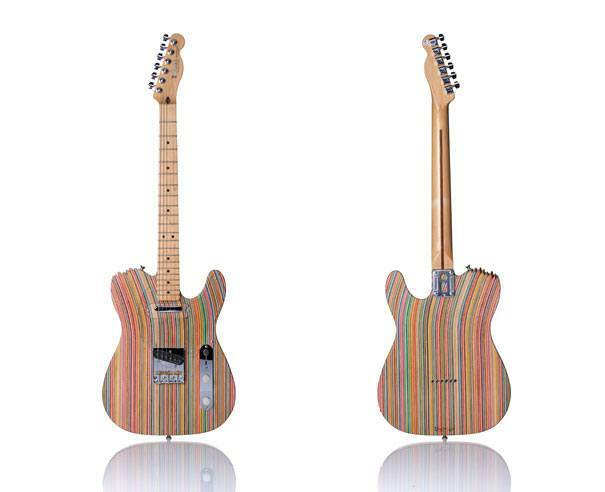 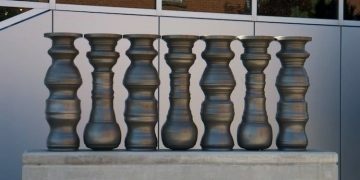 The unique appearance of his sculptures is all thanks to the composition of the skateboards he uses, which are created from multiple layers of processed wood. 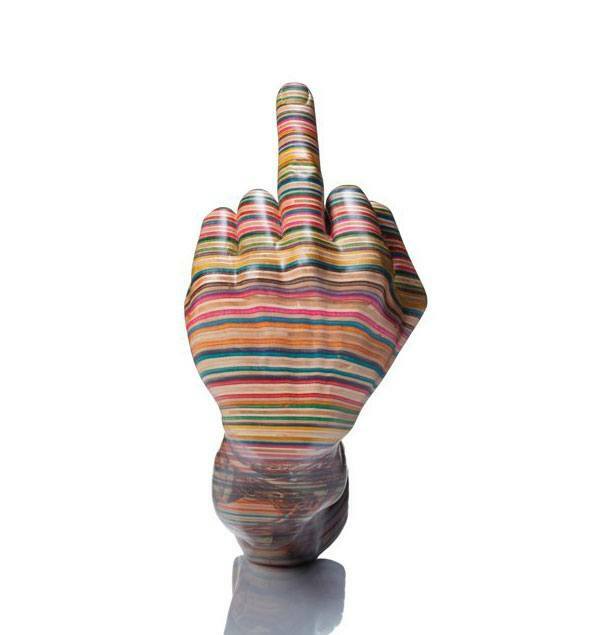 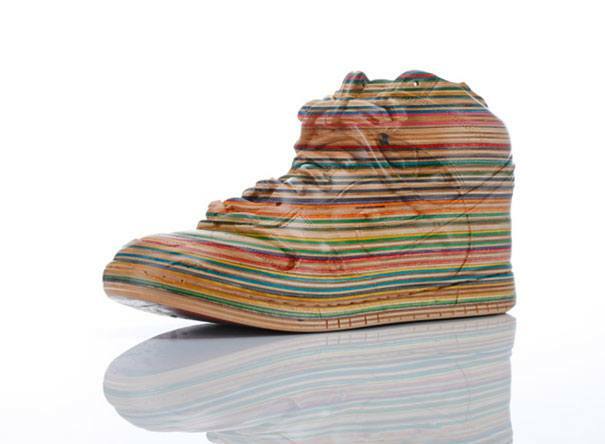 These layers are sometimes dyed as well, which gives his sculptures their distinctive striped appearance. 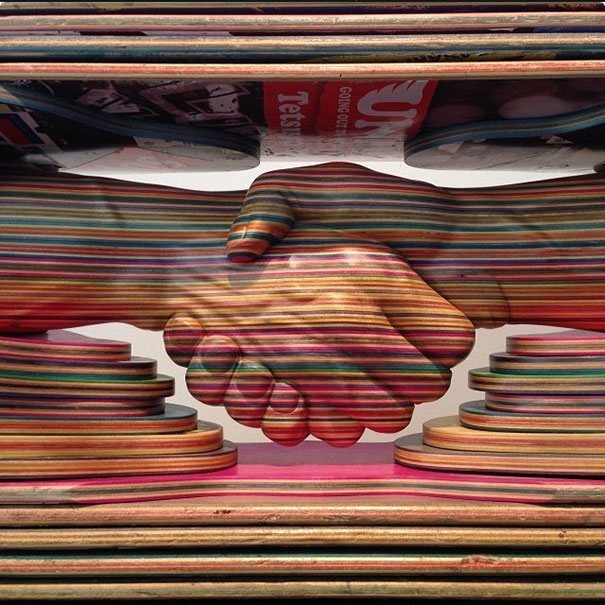 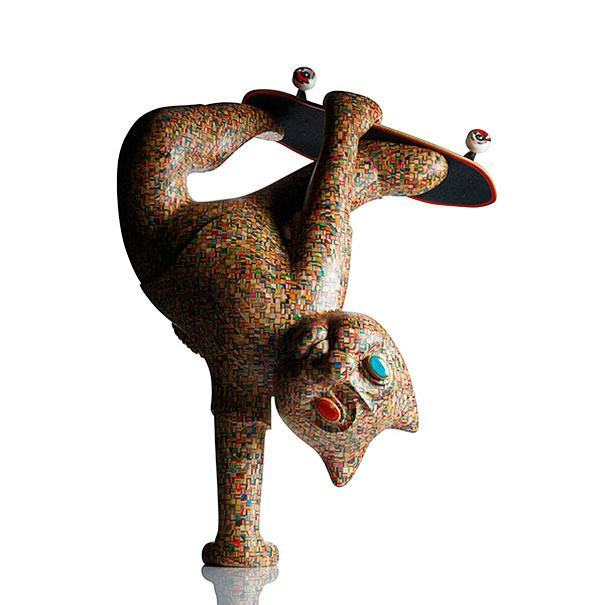 The skateboards are then glued together and carved into various pop-art forms like hearts, skulls, and even sneakers.